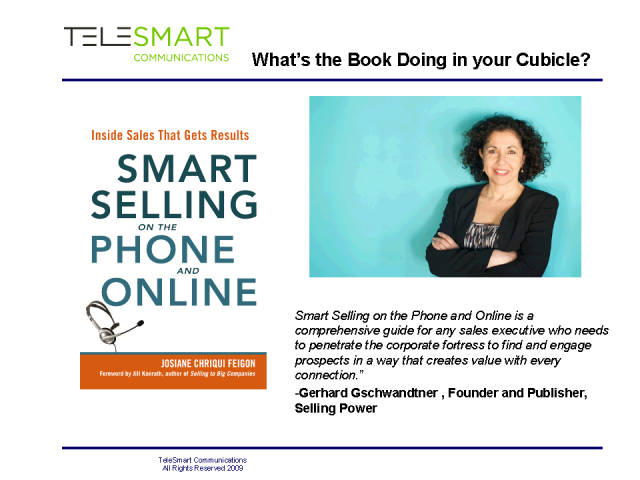 Ask any inside sales rep if their contact at a company has buying power, and they’ll usually say yes. Then ask them why their forecasted deal has been stagnant for the past few months and you’ll hear every creative and convincing excuse beyond their control. Chances are, they’ve aligned themselves with a No-Po—a friendly, charming, helpful person who doesn’t have the power to close a deal. It’s hard to leave a No-Po—they’re so nice! And figuring out who has the real power in a company can be confusing. To make it worse, most companies have plenty of gatekeepers whose job it is to keep salespeople like you from finding out. In this module, you’ll learn that asking a few smart questions can help you separate the No-Po’s from the power buyers before you get stuck. You’ll also learn how to go beyond the obvious power structure and build an org chart that shows the invisible lines of real power in any company.